Bharatiya Janata Party president Amit Shah on Wednesday showered commends on Prime Minister Narendra Modi, saying that he has conveyed trees to the nation, even as he expelled any test from resistance parties who give off an impression of being holding hands against the decision saffron party. 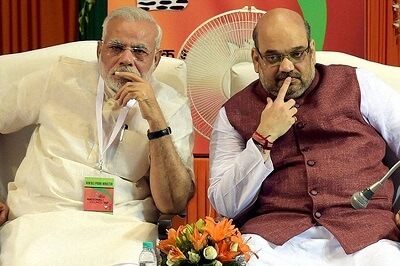 Amit Shah discussed the work done by Prime Minister Narendra Modi-drove BJP government over the most recent four years and furthermore about difficulties that stay in front of the 2019 Lok Sabha races. Talking about the Indian National Congress party, Amit Shah also said that from last seventy years of its existence the country just witnessed politics of appeasement and the division of Indian voters on the basis of caste. Shah further said that since Narendra Modi came to power in Centre, there has been end of casteism and politics of appeasement. Amit Shah declared that the administration had completed a considerable measure of work towards taking care of issues being looked by agriculturists, for example, soil wellbeing card and Pradhan Mantri Fasal Beema Yojana. Over the most recent 70 years, nobody gave agriculturists a base help cost of 1.5 times the cost of the product. Today Modi government is giving 1.5 times MSP on both Kharif and Rabi crops, he said. 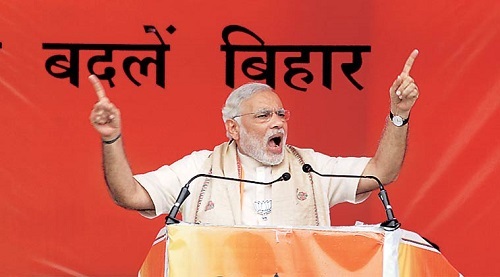 For further news regarding Bihar Politics, like and follow us. If you have any suggestions, feel free to comment.